Designed from the foundation up to be easy to use. Initiate service order requests and enter as much information as you have available. Provide your candidates with eScreener access to sign consent online and enter their personal information at their convenience. Submit your service orders directly through eScreener, where our screeners are ready to process these in real-time! Track work-in-progress any time and from any device. Receive service reports and invoices in the way you choose. Get up-to-date communications from Hire Performance on the Portal dashboard. Sit back, focus on your own work while we do the screening! eScreener is based on the knowledge Hire Performance has gained from years of background screening experience. Everything we’ve learned has been translated into a single custom application designed to make the process as seamless as possible for our clients and their candidates. Without the need to physically print documents to fill them out, eScreener keeps all the important data in one place; safe and secure. Rest assured we have your privacy in mind when handling your personal information. eScreener is a cloud-based platform that is robust, reliable, scalable and secure. Our system is accessible from anywhere with internet service on any device using your web browser. 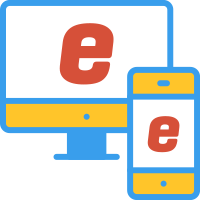 eScreener allows candidates to log in and provide consent online through an e-signature. eScreener allows verification of candidate identity through eIDCompare®, an online identity verification solution that cross checks applicant information against Equifax and 3rd party data sources. As well we offer the candidate the option to upload 2 pieces of identification through an easy to use process using their mobile phone. Just another example of the Hire Performance advantage. eScreener has built-in technology to process criminal record checks directly with local police services, delivering fast and accurate results. 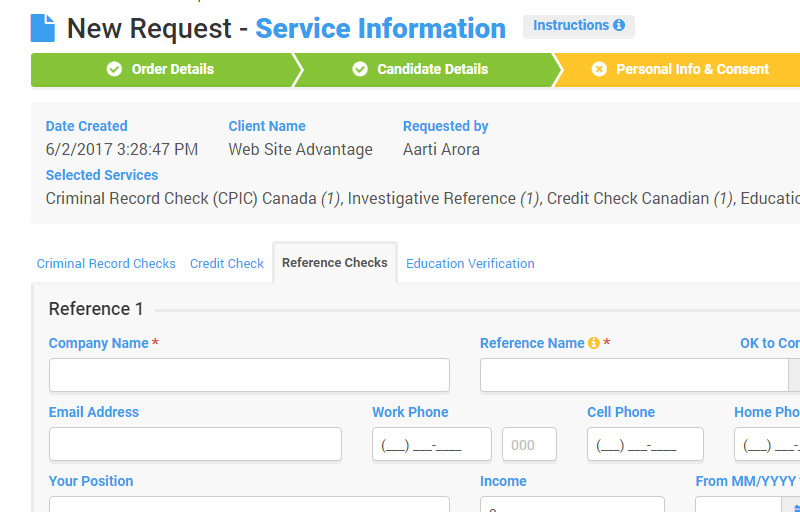 Initiate service requests for background checks in eScreener using a guided step by step online process. Submit your request to Hire Performance when you're ready. Provide your candidate with access to eScreener for online consent, ID verification and data entry of personal information. Access all the information you need: view work-in-progress at any time, view status of each candidate and service request, and view our screener's updates, all inside the interactive eScreener. View service reports as soon as they are added. Screeners process the provided information and generate reports using eScreener. Select which updates you’d like to receive from eScreener. You have control over how often you’d like to receive updates and emails. View and manage automatically generated invoices through the eScreener. Check the Announcements section for communications from Hire Performance. Check the Resources section for useful information related to screening. Check your eScreener dashboard for recent communications and a snapshot of work-in-progress as well as updates from Hire Performance. Manage your staff access to the eScreener. Revoke access when needed, manage report permissions and more. eScreener uses eIDCompare® technology to verify identity with confidence. This technology cross checks applicant information against Equifax and 3rd party data sources to validate an identity and to determine whether that identity has been reported as misused or associated with potential fraudulent activity. This is done in real time by accessing millions of records, providing instant results in our eScreener.